Three movements, originally for violin and keyboard in F major, in same key here. 1. Allegro, 2. 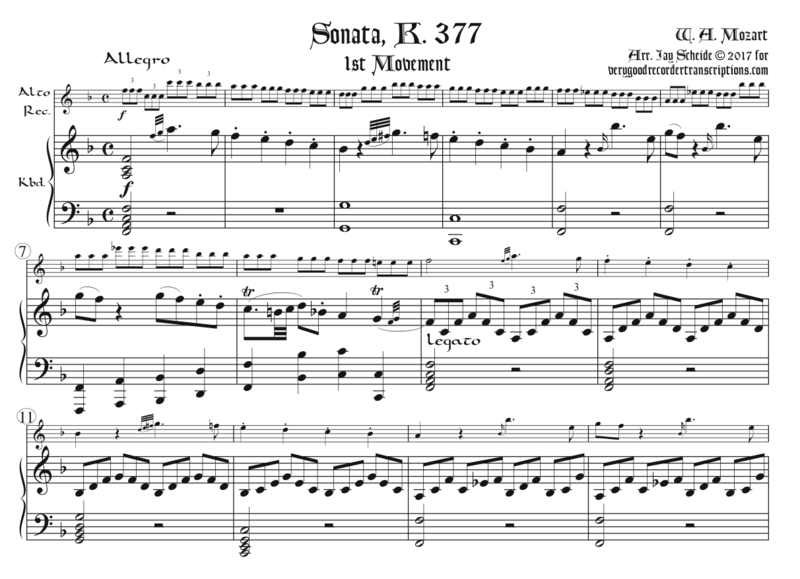 Andante theme and variations movement, 3. Tempo di Menuetto un poco Allegretto. Revised Oct. 4, 2018.